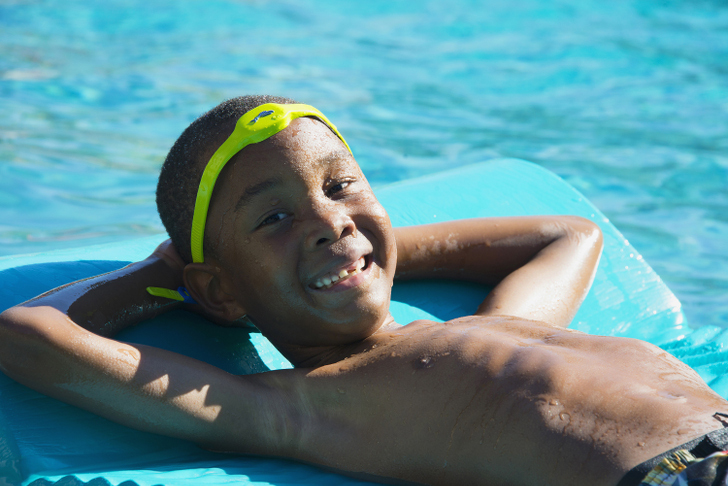 As the weather begins to heat up and plans for family vacations and visits to the pool are on the horizon, now is a good time to start thinking about water safety. Whether your child is a novice swimmer or can do laps like an Olympic champion, even mere moments of unsupervised play in the water can turn fatal. The iSwimband accessory is the latest detection technology device that offers an extra layer of protection around the pool. 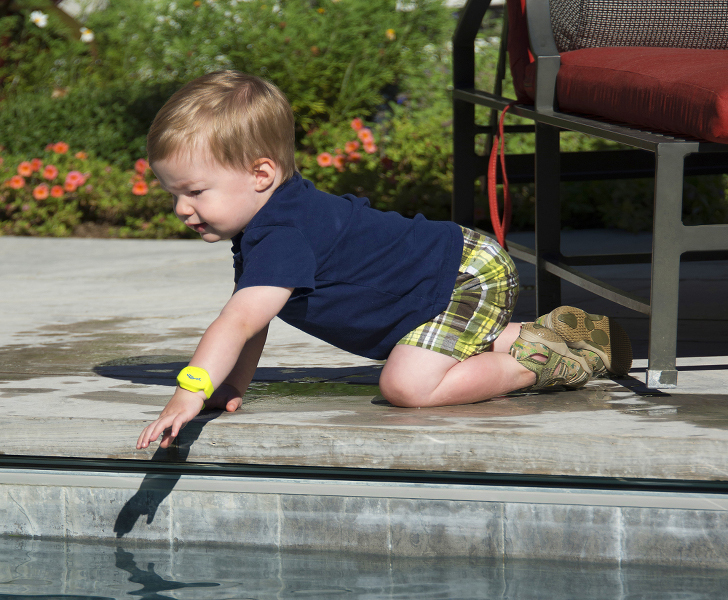 Worn as a wristband on toddlers or a headband on older children, the system sends an alert to your phone or tablet when your little swimmer has been submerged in the water for too long. Let this little guardian angel make its way onto your shopping list for a safer summer for everyone. The iSwimband accessory is a technology assisted water safety product inspired by three fathers who created the product after one of their children’s classmates almost drowned at a town park. Despite several lifeguards and adults watching over the students that day, the 9-year-old boy was believed to have been submerged for five minutes before he was found. Shortly after this near fatality, the founders were led to build their company, Aquatic Safety Concepts LLC, to reduce incidences of preventable drowning. Last year, there were more than 200 reported child drownings in the U.S. Children ages 1 through 4 maintain the highest rates of drowning. Drowning can happen quickly and quietly, even when lifeguards are present. Children must never be left unattended and at all times must be kept away from pool drains and pipes to avoid entrapment. The iSwimband doesn’t replace the diligent supervision of an adult, but it adds a layer of protection in and around water. Parents preset a time limit and if a swimmer has been submerged too long, the iSwimband will immediately alert the Bluetooth-enabled device. Priced at $150, the iSwimband, with accompanying free downloadable app software, will become available as early as May 2014 in the U.S. Pre-order this band here. Please spend some time at our new website, iSwimband.com, to learn the facts about drowning. It's the second leading cause of accidental death of children, and almost 90% occur while the child was under some type of supervision. Drowning is extremely difficult to detect, even for trained eyes. That's exactly why we developed and offer iSwimband: Not to replace diligent supervision, but to support and enhance it. As the weather begins to heat up and plans for family vacations and visits to the pool are on the horizon, now is a good time to start thinking about water safety. Whether your child is a novice swimmer or can do laps like an Olympic champion, even mere moments of unsupervised play in the water can turn fatal. 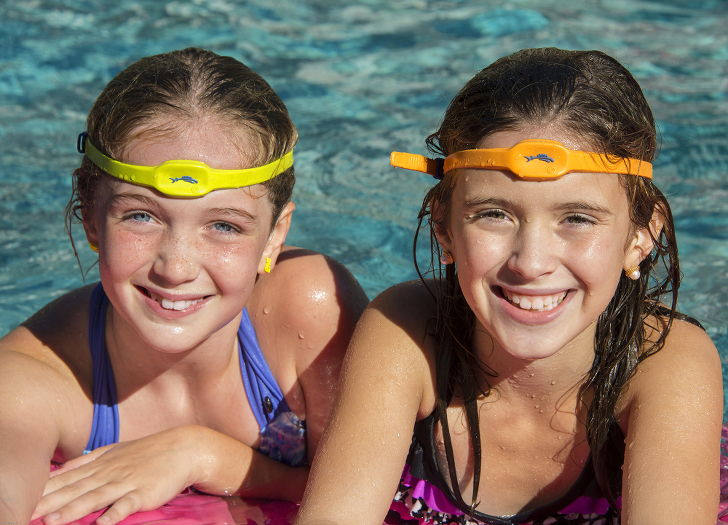 The iSwimband accessory is the latest detection technology device that offers an extra layer of protection around the pool. Worn as a wristband on toddlers or a headband on older children, the system sends an alert to your phone or tablet when your little swimmer has been submerged in the water for too long. Let this little guardian angel make its way onto your �shopping list for a safer summer for everyone.